You can always count on Fishpond for fly-fishing gear on the cutting edge. 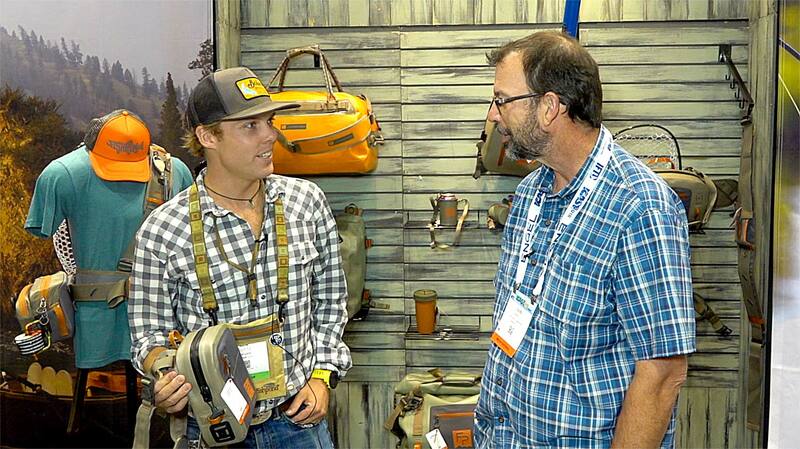 Fishpond leads the industry in fishing gear made from recycled materials. What’s awesome about that is, you don’t sacrifice function while you’re helping out the environment. Every piece of Fishpond gear I’ve ever owned is as rugged as they are innovative. All of this applies to the new gear this year. There are tons of new products but in this video we focus on a chest pack, a duffle and the new reach and tippet keeper. Watch the video to see new products from Fishpond. This entry was posted in Fly Fishing Gear, The Hot Ticket and tagged WATCH THE VIDEO TO SEE NEW PRODUCTS FROM FISHPOND. by Louis Cahill. Bookmark the permalink. Great looking gear I’m gonna have to check out FishPond gear. I have several Fishpond items, just to add – their customer service is top notch.